these are just my first attempt at making a pair of wearable shoes from scratch. 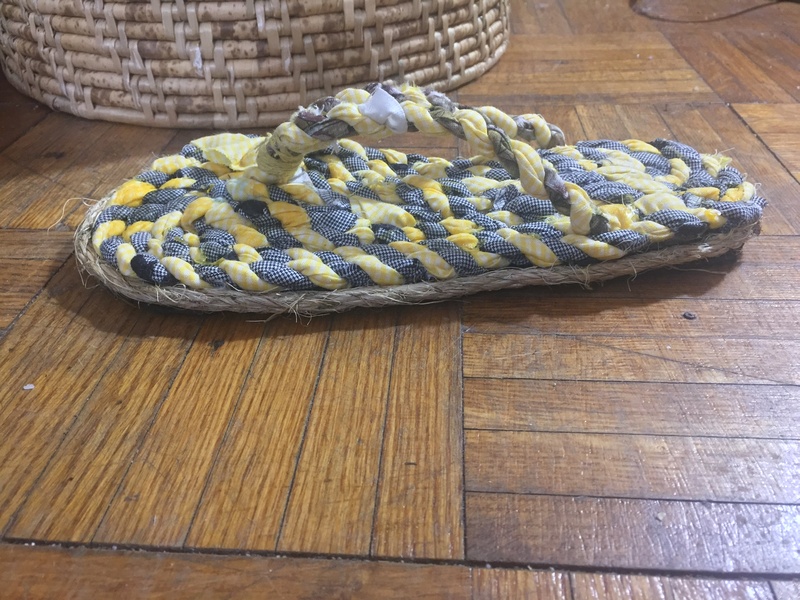 First I made rope from scraps of old yellow and blue fabric, then I glued them into the shape of a foot. I soled them with rubber from an old welcome mat and decorated their sides with a bit of jute. Voilà!